A profile of the Harajuku boutique SOL & BeBe SOL, featuring pictures of the shop’s one-of-a-kind handmade kawaii goods, remake fashion, vintage clothing, and cute retro kitsch. 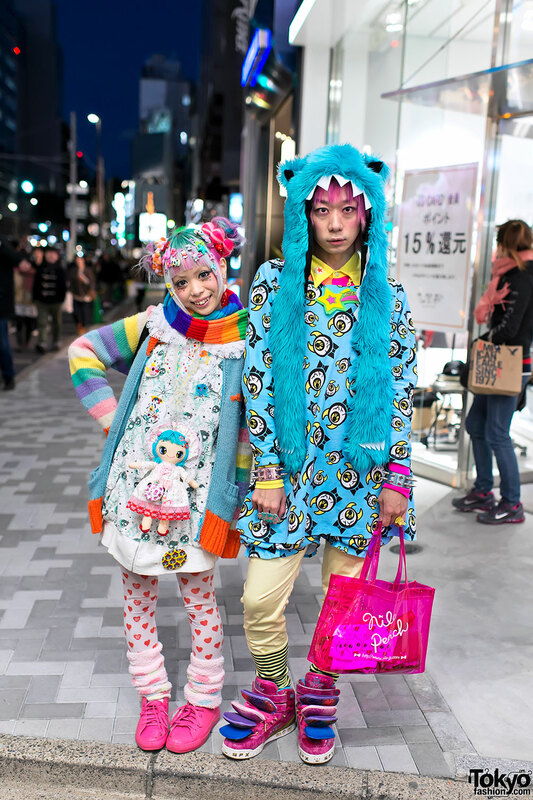 Colorful and friendly Harajuku girl, with floppy hat, resale denim skirt & red leggings. 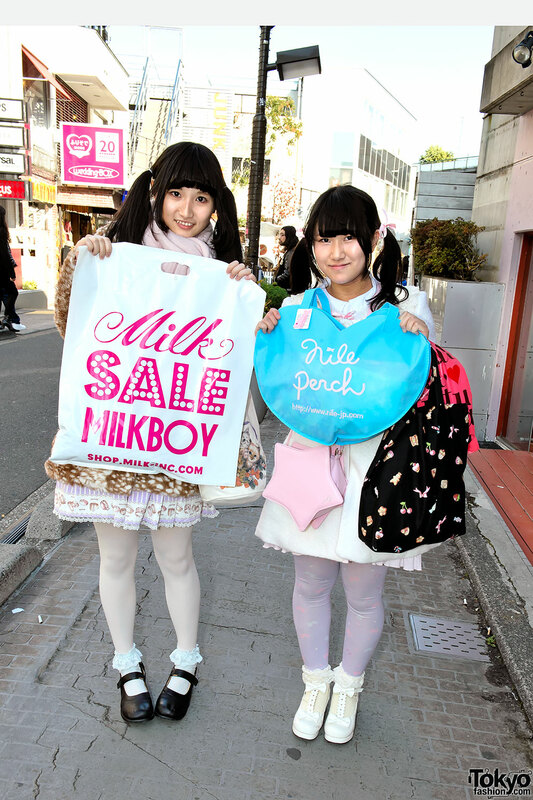 200+ pictures of New Year’s Fukubukuro and happy bag sales and fun on the street of Harajuku in 2013. With LaForet, Takeshita Dori, Cat Street and more. Cute college student in Candy Stripper overalls and polka dot shoes.